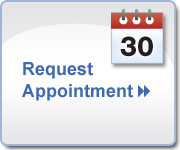 Whether you already have an appointment scheduled, or you are waiting to make an appointment with us, use the forms and checklists below to get started. We ask that you bring a signed Engagement Letter to your appointment. This is a simple agreement for services to be performed on your behalf. For the current tax year (or the tax year for which we are preparing your tax return), include as much documentation and supporting materials as possible. In addition, be sure to have at least 2-3 recent years of tax returns. Start with our Tax Organizer, then access and download the appropriate Engagement Letter and checklists. For IRS Forms, go to our Tax Forms page, or search directly on the IRS website. If you have any questions, please email our office directly, or call 360-675-3030 - we are here to help!